Hyperhidrosis is the medical term describing “excessive sweating”. It may be limited to the armpits, but often the face, palms and soles sweat excessively also. Excessive sweating often becomes noticeable after puberty. Stressful situations such as examinations, job interviews, or an important date will aggravate the sweating. 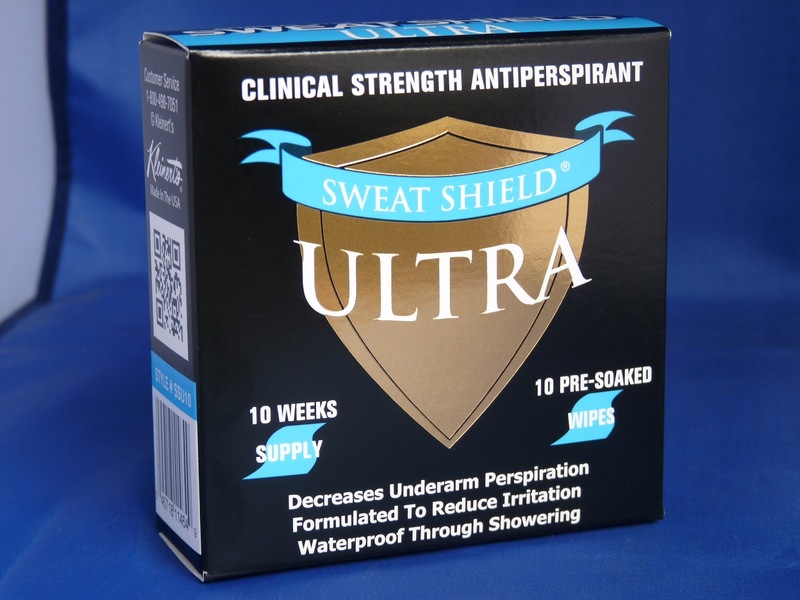 Most over-the-counter antiperspirants do not control hyperhidrosis. Perspiration is the body's way of naturally regulating its heat. But in some individuals, it can be excessive. Physicians have found that nerves, involuntarily controlled by the sympathetic nervous system, can become overactive and cause extreme sweating. Excess sweat serves no purpose and often creates social embarrassment because of odor or stained clothes. Both sexes and all ages, except young children are effected. Kleinert’s produces a complete line of products to combat the effects of hyperhidrosis including our award winning and physician recommended clinical antiperspirant wipes called Sweat Shield Ultra.